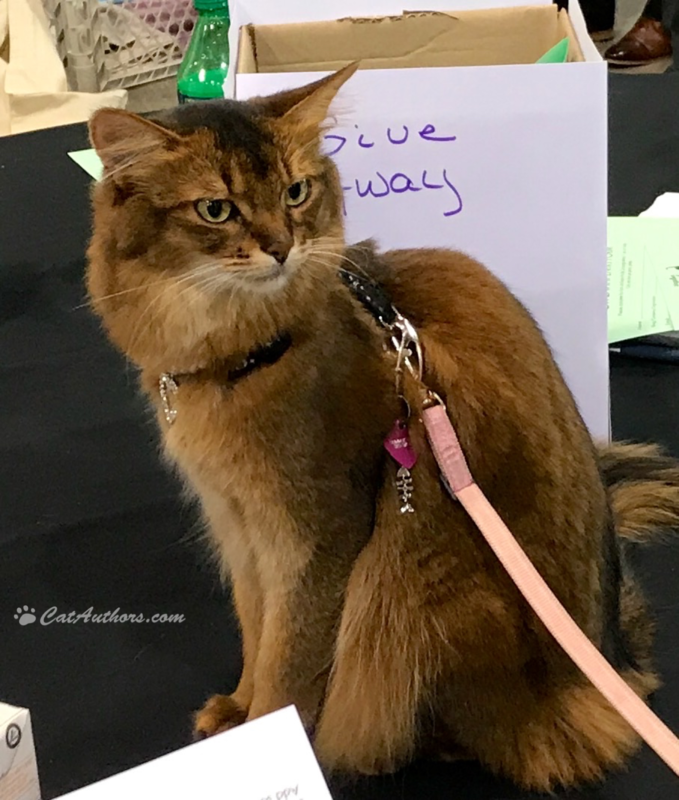 Meowmuh went to the BlogPaws Conference in Kansas City, Missouri in April. 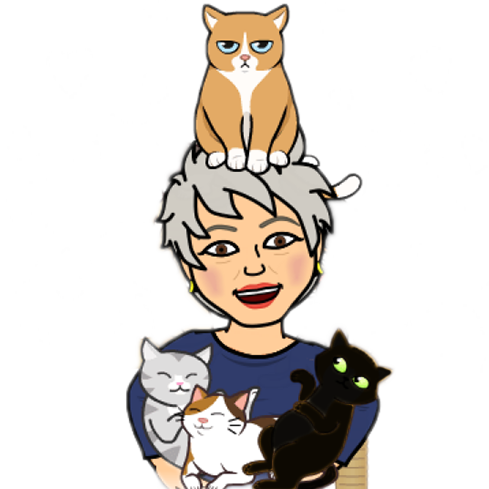 She met two-legged & four-legged critters.This is Sabina, a four-legged feline critter. She is sort of orange, sort of like me. I'm all orange, some people say I'm red. But we were left Meowmuhless for FOUR DAYS! Fortunately, our Auntie Sharon took care of us. She fed us & talked to us & FINALLY, Meowmuh came home.